EPSARC (Eastern Pennsylvania Soccer Association Referee Committee) is excited to announce the launch of our new website and online platform! Our new website will enable us to communicate more efficiently and effectively to all members. Can’t log in. No log in screen. Sorry for the difficulty in locating the log in screen. Information regarding recertification can be found on the “Current Referees” page. I am an existing referee, I just don’t have a login yet. I am not a new referee. 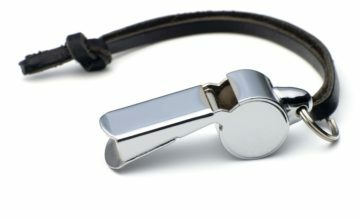 Each existing referee may access his/her EPSARC account by entering the letter “R” followed by his/her USSF ID# as the username (example- “R12345678910111213”). The password is same as each referee set with our prior system. Each existing referee may select “forgot password” to reset his/her password at any time. When will more new refree education clinics be added, I only see one for the remainder of 2018. I would like to be ready to start refereeing this fall. Entry Level Field Sessions will be added as hosting requests are received. In the meantime, we recommend creating an EPSARC account and beginning the pre-clinic requirements, including the background clearances. The following link is giving a 404 ERROR. is there another one? I have my referee certification but I was never given any USSF ID # how can I obtain such a #. Referees are able to access and print his/her USSF registration card, which lists a referee’s USSF ID #. Information can be found here. Also I can’t find where the online test is. Hello, Until all the modules are showing complete on your dashboard, you will not have access to the test. Please try to sign back in to check if your modules have been updated and if not email epsarcoffice@gmail.com for support. If you allowed the entire module to run to completion and get a completed score, they should be loading as complete for you.